Vans shoes have a long and strong heritage spanning nearly five decades long. Their selection of iconic skate shoes were adopted by Californian skateboarders during the early 70’s and later on, developed into an enduring craze for fashion enthusiasts. The range of Vans street shoes has become such a huge part of skate culture and modern fashion. 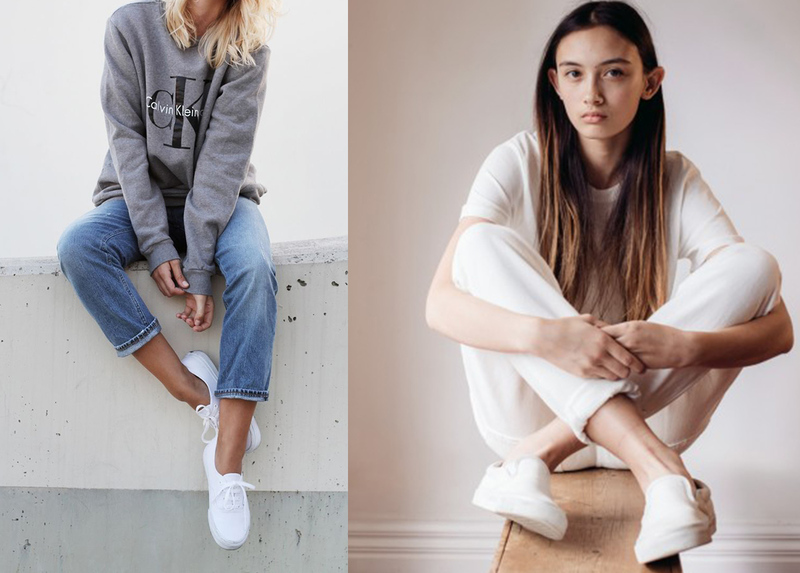 For anyone who knows their shoes, Vans iconoclastic styles have been recently revived on the fashion scene, making them a must-have necessity this season. From season to season, the cool and classic aesthetics of a white pair of shoes has been too hard to resist. Pure, simple and fresh, the Vans CSO and Authentic styles are the ideal look for summer. Team with an all white ensemble for chic and pristine style. Add a little bit of preppiness with a crew cut sweater and cuffed pants. 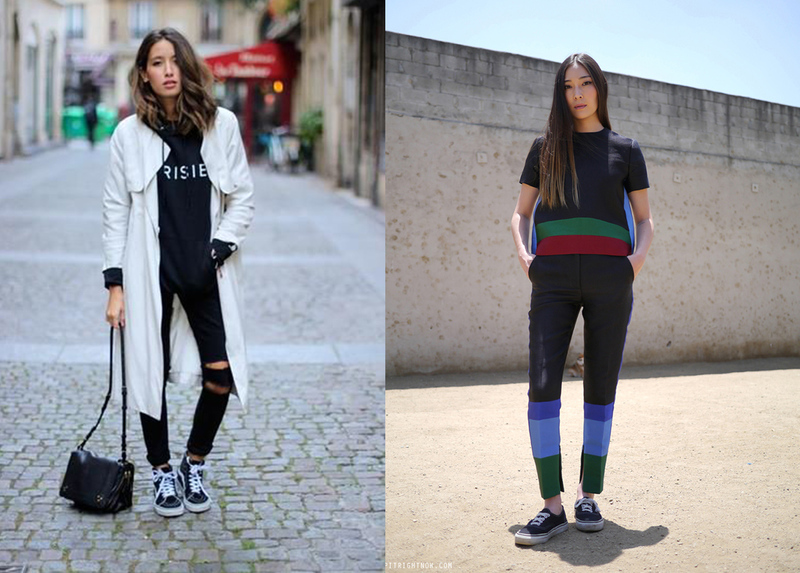 This low-key look is sports luxe at its finest. Tried and true, the Vans black and white Authentic is a dependable and timeless style. The original Vans lace-up has barely changed since its debut in 1966, and you can see why. These versatile summer plimsoll’s go with a range of clothing, from ripped skinny jeans to skater dresses. We love pairing our Vans Authentics with a 90’s inspired shift dress and denim jacket. The Old Skool was the first skate shoe to bare the iconic Vans side stripe. From there came the Sk8 Hi, a reissue of the original Old Skool. These recognisable styles will give you the freedom of personal style. They’re a little bit rebellious and a little bit rugged, making them perfect for rough and ready denim pieces and a baggy tee. Contrast your Sk8 Hi’s with a floral dress for a look that’s as equally hard-hitting.